FREE UK Delivery & 1 Year Warranty – plus we will beat any price on the same trackers, just let us know where you have seen the better price and we’ll beat it by £10 for you. The G7 20,000mA GPS Tracker is second to none when it comes to covert real-time GPS tracking devices with long battery life. View your live, real time tracker on any desktop computer, laptop, tablet or mobile phone device. It features a large internal GPS receiver and offers accurate positioning reports. The G7 20,000mA can also store up to 10,000 positions so if your tracker is in a location with a poor mobile phone signal your tracking data will be held and then sent to your tracking panel later, once a signal is found again. From our online main tracking panel (or from one of our free apple or android apps) you can track live and have your G7 tracker reporting a new position as often as every few seconds whilst on the move if you want, or have it reporting just once an hour – the system is completely configurable at the click of your mouse or touch of your screen. You can put up to 3 mobile numbers or email addresses in the contact list and set a motion alert, so if your tracker moves each of these numbers/email addresses will receive a message within seconds – great if you set your tracker on something that should not be moving. Over the years we have had customers using our GPS Trackers for many different applications including the tracking of vehicles, loved ones, goods and assets. 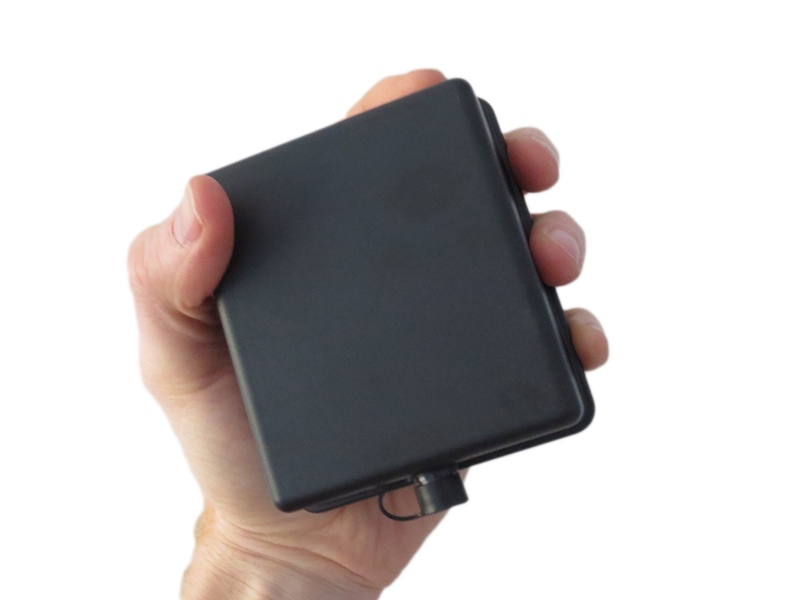 This covert GPS tracker has a massive 20,000mA built in rechargeable battery. How long the battery will last is completely dependent upon how often the tracker is moving, how frequently you have the tracking reporting in, which tracking mode you choose etc. – this tracker can offer months of running time! Is the G7 20,000mA GPS Tracker weatherproof and magnetic? Yes, it is. The hard case weatherproof shell cannot be opened and holds powerful built in magnets. Is the G7 20,000mA a big unit? Not really, considering the amount of built in technology and the size of the battery. Dimensions are 97 x 85 x 50 mm. How do I recharge the trackers’ battery? Your G7 GPS tracker comes with a charging cable. You can charge via mains power or any USB port. SMS credits are only used for when you send a new message to your tracker from the tracking website or app, for instance you may want to change the reporting interval from every 30 seconds to every 10 minutes. An SMS credit is also used if you have set the tracker to send a message to your contacts if, for example, it leaves or enters a certain area or zone that you have set up. Our GPS trackers will work in pretty much every country in the world at no extra cost to you. 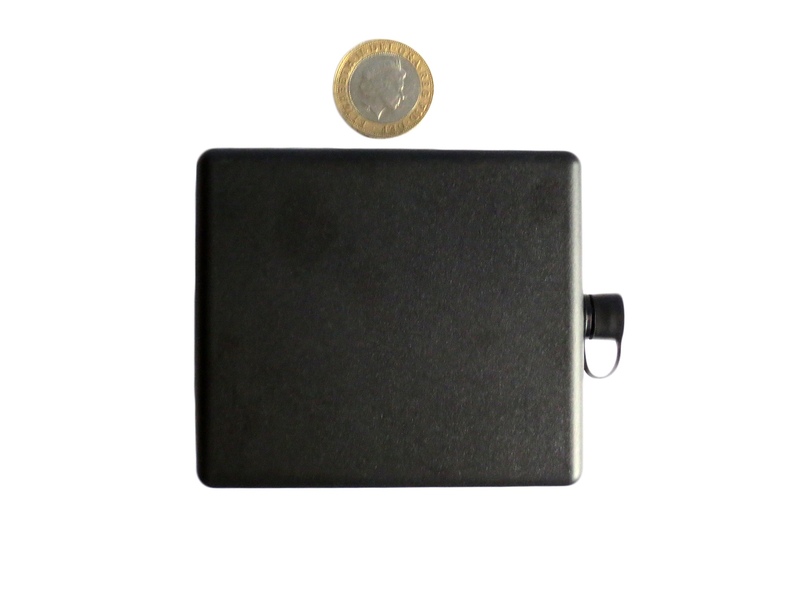 The G7 range of GPS trackers use 2G & 3G connectivity for fast connection to an available network and quick transfer of data. For instructions and further information about the Trackserver app please click here. Normal Tracking Mode – this is the default mode and used by 95% of customers, 95% of the time. You can set how often it updates with a new position when on the move and it will drop into sleep mode when not moving. Eco Mode – This mode will switch off the PCB completely for a selected period of time, for example ECO 4 hours, the board will wake every 4 hours and report a GPS or a GSM location, it will only report a GSM location if the PCB is not able to obtain a quality GPS fix. The board will then turn off and report again in a further 4 hours. Switching the device back to normal tracking mode can be done via the PC or APP, the PCB will only act on this action, when it’s time for the board to wake on the 4-hour update. Eco hugely improves battery life. The battery can last for months using this mode. Flight Mode – Using this mode will switch the unit completely off for a scheduled time period, example Flight 12 hours, the unit will confirm to the server before switching off and display a timer clock that displays on the platform when the device will switch back on. When the 12-hour period has lapsed, the PCB will return to normal tracking mode.During the 12 hours off period, it is not possible to communicate with the PCB. This function improves safety when travelling on aircraft and increases battery life. You may choose to carry out this action on a daily basis from hour to hour, the choice is yours. Log Mode – The GPS tracker can be remotely turned off via the APP and Panel for a pre-determined time period, example Log mode 5 hours. The PCB will now turn off, but log and store all location points and update them to the server in the same format as if it was tracking live at the end of the time period. This mode will include data for stops and starts, and will not log when not in motion, the interval of logging when in motion can be set via the apps. The on-board memory is around 1Gb and the device will be able to store 50,000+ locations whilst in this mode. Once the timer has expired for how long it is in log mode, it will power up fully, upload all data it has collected and then resume to normal tracking mode. The advantages are huge for those using this mode. Increases battery life, extremely difficult to detect a PCB that is not emitting any RF. Park Mode – Once this mode command has been remotely sent to the device, the PCB will switch off. When the board moves it will switch back on and track every x seconds. The board will automatically switch off after 120 seconds of non-motion, this is a default setting that can be changed. This mode again increases battery life. The normal tracking mode will only be accepted by the PCB when it’s in a motion state.